How to Choose the Best Foundation for Your Skin Type (DRUGSTORE)! Picking a foundation can definitely be tricky. 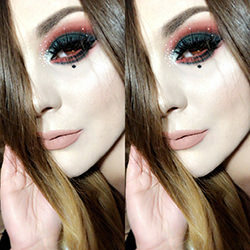 You go down the aisles at the drugstore, you're bombarded by displays at Sephora, or you're pressured by an overzealous beauty consultant at a department store and you are completely overwhelmed and don't know where to begin. Sound familiar? Well, you're not alone. I've rounded up the best drugstore brand foundations for every skin type. 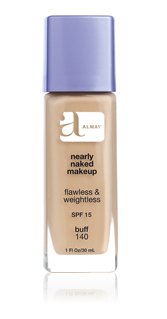 The perfect foundation for you is out there! Keep on reading to find your foundation soul-mate. 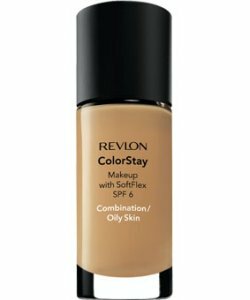 I would recommend applying this foundation with clean hands as the formula is a little thick and dries kind of quickly. Using your hands will help warm the product, thus allowing you to fully blend it into your skin, and will give you the most natural looking finish. If you are working on a client, use a sponge applicator or a foundation/stippling brush. I know this is marketed for more mature skin, but that doesn't mean a thing! 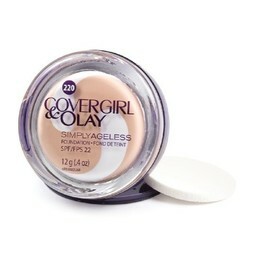 Anyone can use this foundation, young or old. It has olay moisturizers swirled into it and it will leave your skin looking radiant and hydrated without looking greasy. Available at most drugstore and discount department stores. No matter what foundation you end up using, always remember to have nicely exfoliated skin and never forget to set your foundation with a loose, translucent powder. It will stay put all day long! Well, I hope this has helped you in some way. I know it still might be a little difficult to find the right foundation for you as these might not be the soul-mate for your skin. You just need to try them out for yourself and give them a go. I suggest purchasing them at CVS as they let you return and/or exchange cosmetics even if they've been used. If you have any questions, please let me know in the comments! Good luck! It can be pretty tricky picking the right color. It helps if you already know your undertone. The best advice I can give is to try out Loreal True Match foundation. They have a little clear, plastic chart that has all of the shades on them and what you do it hold it up to your arm, and whatever color "disappears" is the best match. You can also try out different foundations and take them back if you don't like them. As I mentioned in the post, CVS allows you to return cosmetics even if they've been opened. I use to different shades of Revlon Colorstay to get the right color. If you want a high-end makeup, you can go to your local MAC counter and they can match you there.